For 25 years we have sold Amisco Bar Stools. Their superb quality is only matched by their outstanding selection of fabrics, vinyl and powder coated steel finishes. Available in counter, bar and dining stool height each stool can be customized to YOUR CHOICE OF FABRICS AND METAL FINISH. 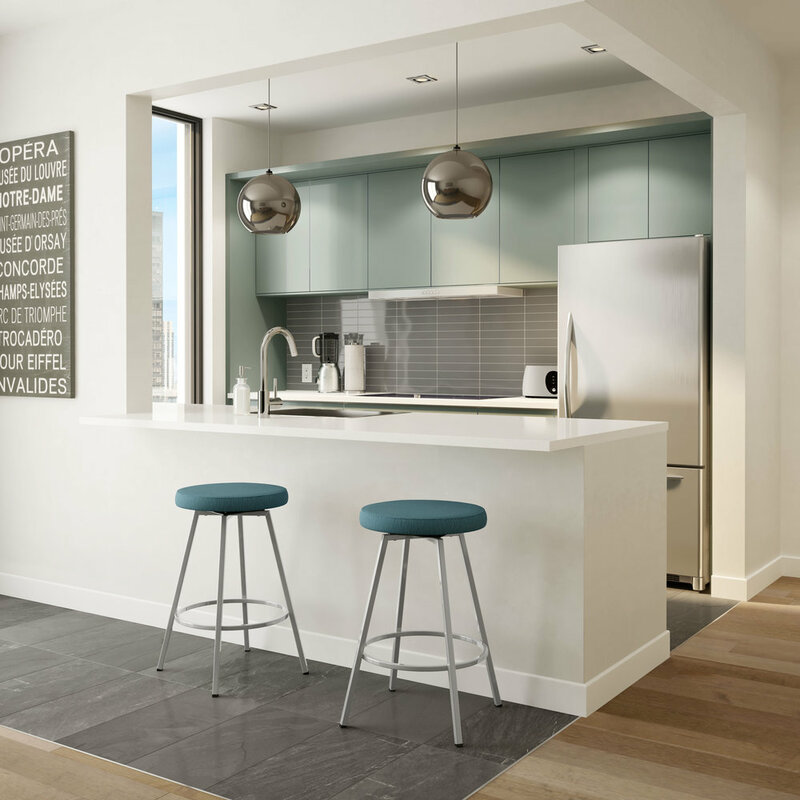 Amisco is one of the few companies that offer 34" Bar Stools. Also known as Spectator height. 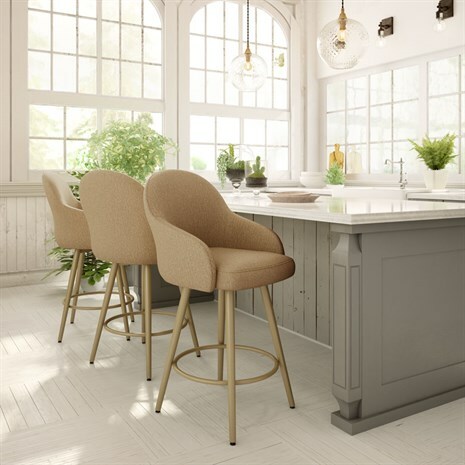 Due to the extensive selection Amisco provides, bar stools can only be purchased through our show room. Visit us today or call (954)-566-1230 for more information. 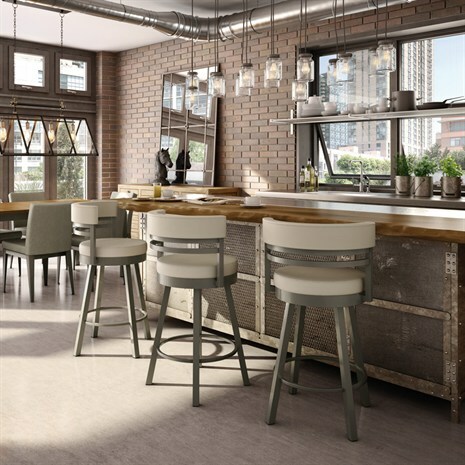 Customize your barstools and choose from a generous selection of metal finishes and seat coverings. Customize your barstools and choose from a generous selection of metal finishes, woods and seat coverings. Adjustable Seat from 25" to 30"